Bookmarks are ideal promotional tools for libraries, book clubs, educational institutes, non profit organizations, and any youth organization. Our Bradbury is a classic bookmark shape in Natural buffed leather. 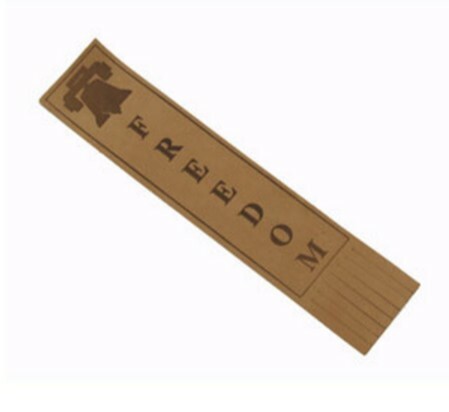 Overall Size: 7" x 1 1/2"
Imprint Area Size: 5 1/4" x 1 1/4"